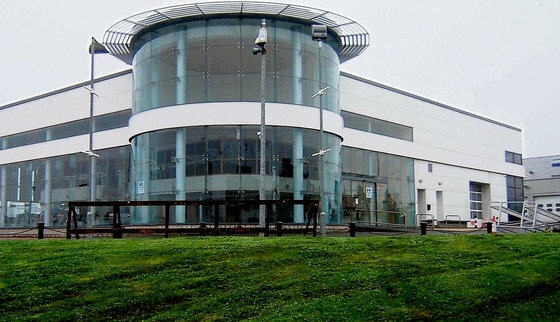 The former showroom of Bill Cullen’s car dealership in the Airside Motor Park in Swords, north Dublin, has gone on the market with DTZ Sherry FitzGerald. The sale has been triggered by receivers Kavanagh Fennell on behalf of Ulster Bank, which had apparently advanced €12 million in loans to Mr Cullen’s Glencullen Holdings. Brendan Smyth of DTZ is seeking €2.6 million for what he described to The Irish Times as a “superb” building. He said there had already been interest from a number of people in the car dealership industry and said he hoped to conclude a sale before the 2013 car selling season gets underway. The Cullen building is regarded as probably the best in the Airside motor mall, having frontage onto the entrance. One possibility is that it may be purchased by one of the main car manufacturers and leased to a dealer. If a sale does not materialise, the agent will consider letting the premises at a rent of €260,000 per annum. Mr Smyth says that the Airside premises are the only purpose-built motor showrooms available in north Dublin. Other showrooms occupied over the previous 12 months include Belgard in Tallaght; Appleyard in Stillorgan; White Bishop on the Long Mile Road and the former Nissan showrooms on the Naas Road. The Cullen building extends to 2,372sq m (25,533sq ft) and includes a purpose-built showroom, offices and service centre as well as an ancillary wash/valet bay to the rear. The showroom has a particularly high specification, including full-height glazing to the front, tiled floors and an air-handling system. The sales office also comes with a modern fit-out and air conditioning. The service area to the rear has a range of scissor lifts and is plumbed for hydraulic and air systems. Smyth said the quoting price reflected the current market realities but, at a guide of just over €100 per sq ft, it was a mere fraction of the build costs for a facility of this standard.